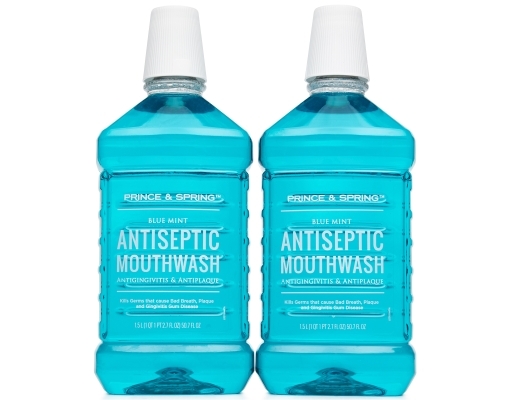 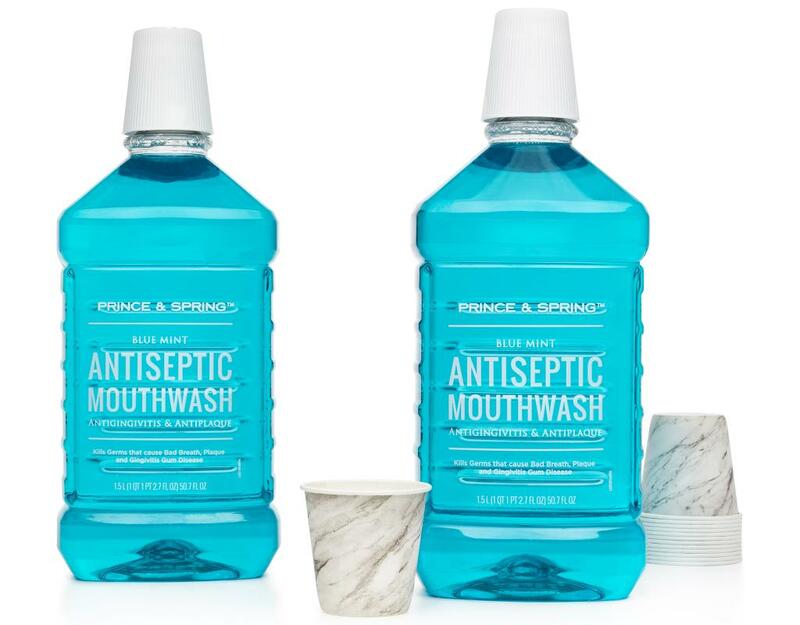 There’s no such thing as “too close for comfort” when you use Prince & Spring Antiseptic Mouthwash. 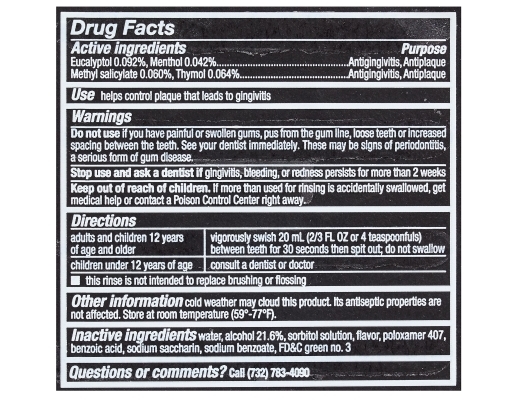 Kill the germs that cause bad breath and help control gingivitis all in a 30 second swish. 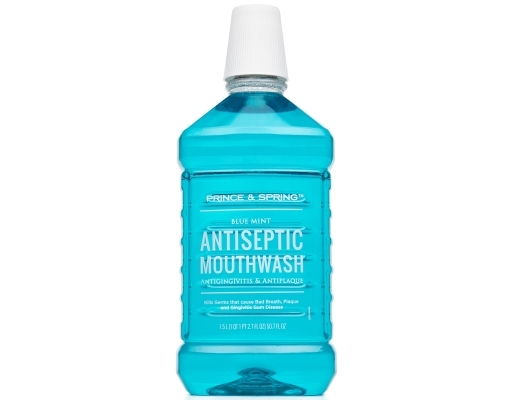 The crisp, blue mint taste will leave your mouth feeling so fresh and so clean.